Remove the drive belt. 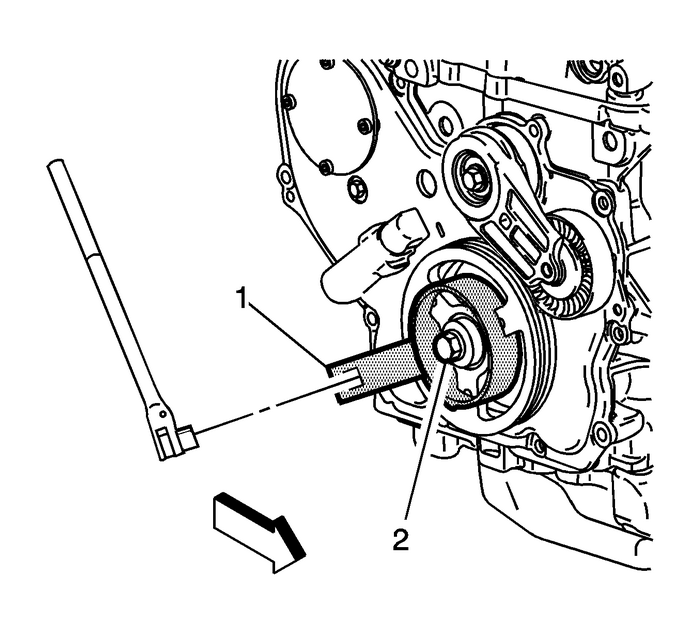 Refer toDrive Belt Replacement.Use EN-38122-A holder(1) to prevent the crankshaft from rotating while loosening the crankshaft balancerbolt (2).Remove and discard the crankshaft balancer bolt. 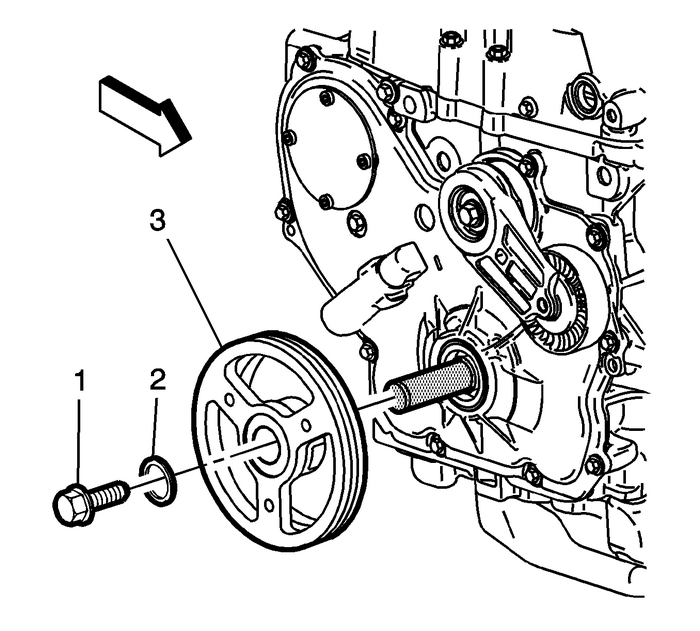 Position the crankshaft balancer (3) .Install washer (2) and a NEW crankshaft balancer bolt-(1). Use the EN-38122-A holder(1) to hold the crankshaft balancer in order to prevent the balancer from rotatingwhile tightening the bolt (2) . Tighten the crankshaft balancer bolt to 150-Y (111-lb-ft) plus an additional 100 degrees using the EN-45059 meter.Install the drive belt. Refer toDrive Belt Replacement.